The term `Tai Chi’ has been shortened from Tai Chi Chuan (the differences are explained here). Tai Chi is also the term adopted during the 20th century for health and fitness techniques using Chinese philosophical concepts which use an implement such as the `Tai Chi Ruler’ (which is also sometimes called the `Tai Chi Wand’), the `Tai Chi Ball’ as well as innumerable stick and staff forms also called `Tai Chi Stick’. All these exercises employ the philosophy of Yin and Yang which is inherent in Tai Chi as the supreme ultimate principle. 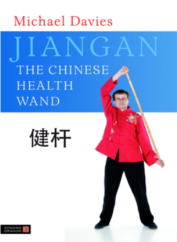 So why I didn’t use the phrase `Tai Chi Stick’ or `Tai Chi Wand’ in my book? The phrase Tai Chi’ is closely linked with the martial art Tai Chi Chuan and the wand exercises are non-martial. I needed to reflect this fact unambiguously. In addition, the term `Tai Chi Stick / Gan / Staff’ is used for some martial stick forms and I wanted to distance the health and fitness art from the martial elements of stick practices. The Chinese term `Jian’ means health and fitness and `gan’ means stick so the phrase `Jiangan’ perfectly encapsulates the concept of the Health and Fitness Wand. Bamboo poles are perfect for Jiangan. But finding poles of the correct dimensions is difficult in the West. Wooden dowels are a good substitute but to get the best out of the techniques a lighter pole is necessary. The only reliable way of obtaining bamboo poles of the correct dimensions is directly importing them from the Far East, which is impossible for individual orders and expensive for bulk buying because of the shipping costs. Jiangan is an `open source’ empowerment exercise. We can learn the techniques without attending classes or seminars. The wand is the most low-tech piece of exercise equipment. Yet most people still have to buy bamboo wands or have them made for them. Its expensive. But modern technology can provide us with inexpensive wands. 3D printing is now becoming practical as the price of machines comes down and people are starting to produce all manner of objects they found difficult to get hold of previously. This technology may seem far-fetched and complicated but it is getting easier and more down-to-earth each day. The prices, like all technological devices, have fallen drastically in the last year and will fall even further in the near future. Many companies offer an online 3D printing service and operate rather like a photo developing service; you supply the specifications and they print the object and send it to you. Scanning a bamboo pole of ideal size and shape, we would then feed the `specifications’ onto a PC then upload it to internet to be downloaded by anyone with a 3D printer. This is something that only need be done once for a standard size pole. For producing different length poles there only needs to be small changes in the design file. 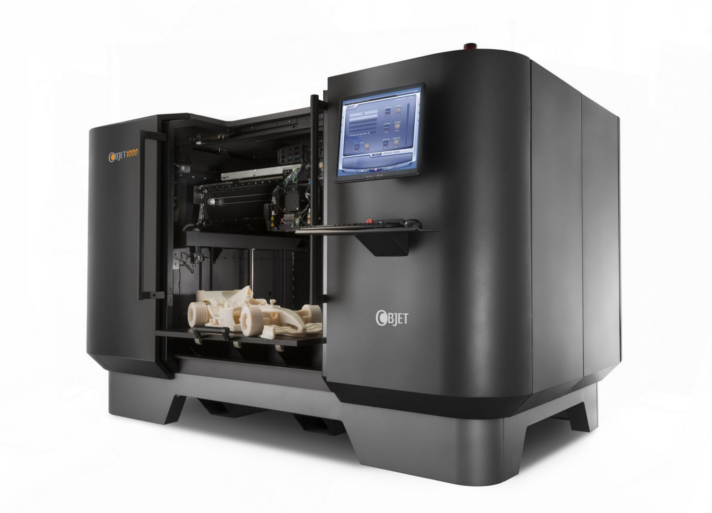 Many companies now offer a 3D printing service so individuals do not need a printer themselves. Although many materials can be used for 3D printing, it is most likely that the most convenient and suitable will be some form of light but strong plastic. 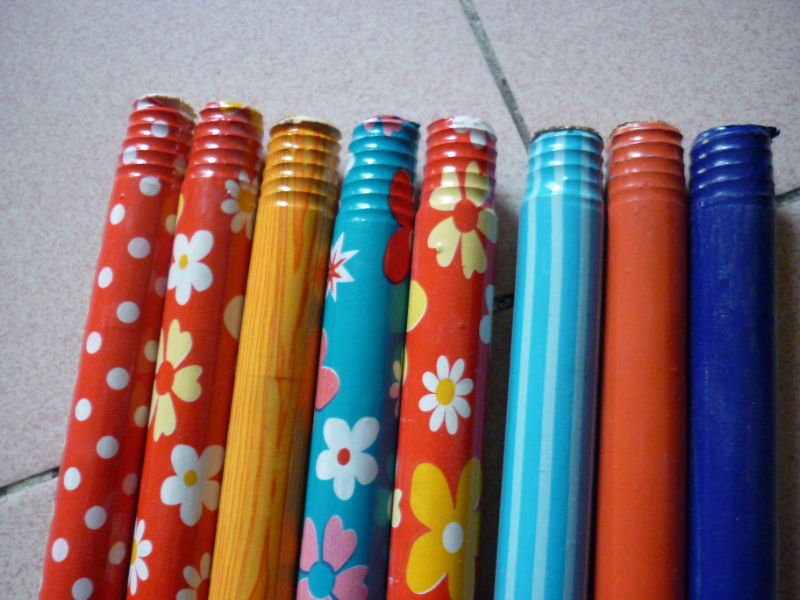 These wands would probably have to be designed to be printed in 3 or 4 sections which could be screwed together. This open source model is a superior and more efficient than the proprietary business model used by professional exercise instructors. In the health and fitness industry equipment sells at extortionate rates. The poor and the unemployed need to be healthy and fit as much as the affluent. We must do everything in our power to ensure that health, fitness, medicine, medical treatment and well-being training is available to all, not just those who have money. a. Gym membership and workout routines marketed at the young, fit and affluent (to make them feel good about being young, fit and affluent). b. Weight reduction programs primarily aimed at females. Tai Chi, Yoga and Qigong which are marketed at the elderly, obese and people with physical medical problems. This is a sort of Yin-Yang dichotomy that assumes people either want `fitness’ or `health’. So we must take our choice; robust energetic exercise versus gentle mind-body movement. Whichever we choose we face an avalanche of marketing and promotion from armies of professional instructors in both fitness and health sectors. Exercise programs in the Health & Fitness Industry are proprietary – created and sold only by the owner of the patent, formula, brand name, or trademark associated with the product. Financial profit is the inevitable consequence proprietary status. The poor and unemployed are not in a position to pay for exercise programs. They need a free (or extremely inexpensive) efficient health and fitness exercise that they can practice with little fuss and minimal training. Worryingly, the medical profession is increasingly working with fitness clubs franchisees who run referral schemes in conjunction with local Primary Care Trusts and GP surgeries. An NHS think-tank adviser recently proposed that patients with gym membership should receive priority for NHS operations. Such thinking will inextricably link exercise in general with propitiatory profit-making enterprises. If GPs become pimps for gym franchisees and `exercise professionals’ it could mean that poor will be shut out. Its all very well GPs referring patents to Tai Chi, Yoga, Qigong, Pilates or Gyms but these exercise methods rely upon profit-making instructors who charge student and patient. We need an `open source’ exercise program. Open source denotes a product or system whose origins, formula, design, methodology, etc. are freely accessible to the public. The open source alternative to the instructor-based exercise is Jiangan. The reason it is difficult for the health & fitness industry to make money from this art is that the movements are quite easy to learn and can be picked up from written instructions. There are no aesthetic elements requiring many lessons to perfect. No expensive equipment is needed – you can use a cheap wooden dowel or broom handle. It is a gentle exercise that provides mindfulness, internal Qi cultivation, stretching, muscle strengthening, core work. The instructions and illustrations on how to practice are free and open source. This amazing video shows a bear playing around with a pole. But with animals `play’ is an important activity to condition the body and keep it trim. And although it looks as if the bear is doing martial arts it is, in fact, using the pole as a piece of exercise equipment. If you look carefully between the twirling movements you will see more deliberate repeated twists and circles that trap the pole between the bears arms, neck, shoulder and limbs, making it a resistance exercise. It is an ingenious way to condition and massage the body. Imagine someone in ancient China coming across a bear doing this and being inspired to create wand exercise . . . now that’s what I call animal observation! If you are unable to stand you can practice the sitting routine, which consists of arm and upper body movements with the wand. It is difficult to find an exercise that combines gentleness yet is still effective in stretching and strengthening as well as increasing mobility and suppleness. People confined chairs find it more difficult to find a suitable exercise. The standing exercises of Jiangan are very adaptable to the sitting position. Most of them work on the principle of gentle resistance (moving upper body but keeping lower body still). This provides great benefit even when performing the exercises seated. Physical culture reaches its peak of perfection when based on the results of experience, observation and experimentation. Philosophy and ideology should not take the lead in practical and logical affairs. In the culinary arts, hunting, fishing, war, farming, building and tailoring, experience, observation and experimentation result in intelligent design of methods. How do we discover which plants and berries are good to eat, have certain medicinal qualities or are poisonous? How did Japanese chefs discover the correct method of preparing and eating Fugu, the deadly Puffer Fish? How did we discover the correct method of lifting heavy objects from the floor without injuring our backs? By philosophy? Meditation? Divination? By forming a think-tank committee? No. We discovered these things by experience, observation and experimentation. A `best practice’ is a method that consistently shows results superior to those achieved by other means. A benchmark that evolves with improvements. Best practice does not come from political or religious philosophy or individual ideas. It comes from culminated generations of experience, observation and experimentation. Using the model of best practice modern society should be more efficient at managing human affairs than ancient societies. We should live our lives more effectively because of experience, observation and trial and error built up in previous generations. This is why Eastern health arts such as Yoga and Qigong are superior to modern exercises created by individuals. But if you listen to many young fitness coaches who come up with new routines you would think that no human had ever worked on the problem of safe and effective exercise before! In physical culture, it is important not to ignore experience of previous generations. Religious and philosophical teachings about exercise – even existing for a millenia – are not trustworthy. There is a huge difference between an ancient religious idea and an ancient method of farming or building. Experience, observation and experimentation to achieve practical results should be based on evident and robust experience within the physical world. In exercise we should choose practical experience over philosophy. We should take the lead from tangible and self-evident truths such as physiology and physics. To lift a heavy object from the floor we bend the knees and keep the back straight. Trial and error gave us this method, not philosophical claims. Some Chinese internal health arts and martial arts treat a philosophical or religious dogma as if it was best practice. This approach prevents new input, which is necessary for evolution. In the Chinese arts when someone comes up with an idea they are sometimes followed blindly with no deviation for generations. Methods arrived at by philosophy are frequently considered `perfect’ from the outset and so need no further development. If philosophy is behind a method evolution is difficult. Philosophy has told you what method is correct so why take notice of experience? Why bother to experiment? Philosophical thinking can cause difficulty. There’s a claim that Tai Chi’s `Squatting Single Whip’ posture is intended to stretch the meridian that runs down the inner thigh. The posture requires placing most of the body weight on one squatting leg while stretching out the left leg. Most people find this very difficult. In addition, the overwhelming majority of Tai Chi practitioners perform this posture only on the right side, so the right and left legs receive a different stretch. This is neither efficient or safe. Jiangan’ postures for the inner thigh stretch are safer and more effective. How do we know when an art has arrived at its peak of best practice? It should be based on self-evident practical considerations. The optimum methods for preparing and cooking the Puffa fish and lifting heavy objects has been achieved. And exercise? Imagine you are looking for a single routine to provide a potent health and fitness benefit. You choose an Asian art because of Asia’s history and experience. But you are faced by a myrad of different types, styles and schools of Yoga, Tai Chi and Qigong. Could one fulfil that comprehensive role? After thirty years of studying and teaching Tai Chi and different forms of Qigong I have found the closest to a definitive method of complete exercise. Jiangan has the most potent breathing method, safest bending and stretching, contains muscle strengthening, carido, gentle mindful focus on internal aspects. It is superior because of is physiological effects, not because of its philosophy. It is my best practice candidate for a daily comprehensive health and fitness routine. Could the Chinese internal arts work like a placebo. In other words are `Qi’ / `Chi’ and `meridians’ simply metaphor or do they have a `real’ existence? A placebo is a medically ineffectual treatment for a medical condition intended to deceive the recipient. Tai Chi and Qigong, popular types of Chinese internal arts, have reportedly cleared up many ailments. Could the placebo effect be responsible for these positive effects? Expectation triggers the placebo effect. Positive media representation can have a powerful influence on student’s expectation. In particular the philosophical and esoteric aspects (and their famed `ancient’ status) are important triggers. If you believe that esoteric principles such as `Qi’, `meridians’ are tangible things that can improve your health then you will practice in an environment of supreme confidence. However, after 30 years practicing Tai Chi and Qigong I had some minor health problems that according to popular literature should have disappeared. When I substituted Jiangan for Tai Chi and Qigong I found that these niggling health issues cleared up. My improvement was not due to placebo effect because I had no expectations for Jiangan. As a Tai Chi instructor of many years I always had great health expectations but with Jiangan I did not know what to expect. So I did not approach it with particular confidence. Yet I experienced great improvements in health and fitness. Therefore it is likely the health benefits I have enjoyed since taking up Jiangan are due to physiological not psychological factors. No wonder that Bruce Johnson, in his book, revealed that he never told his students what health benefits to expect with the system. He let them come as a surprise. This is what happened to me. I did not expect my stomach to flatten, overall strength to improve, joints to become more supple, knees to get stronger and my catarrh to clear up after daily Jiangan practice. But they did.